misha29: I'm here - where is Blue? Magenta is Blue's best friend from school. 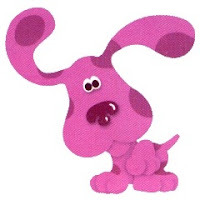 She looks exactly like Blue except she is magenta with magenta-colored spots. Magenta likes photography and making macaroni picture frames. Although still going strong with my Sesame Street Collection I had to respond to a special request we received at Fandom in Stitches a couple of weeks ago. 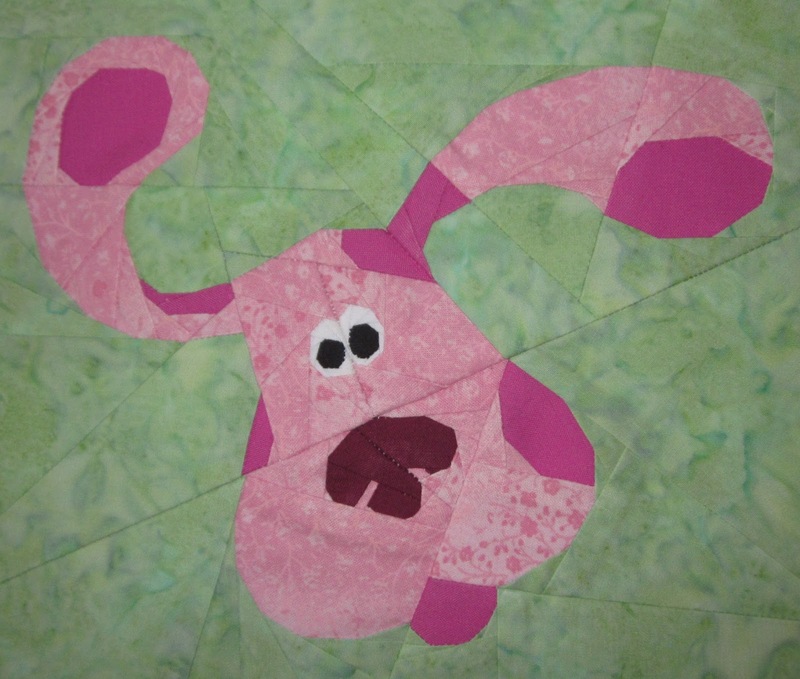 A wonderful grandmother wants to create a Blues Clues Quilt for her sick Grandson. I have designed many along with Jennifer (from Fandom in Stitches and Sewhooked) and Lilja (from liljabs.com). We still need people to test these patterns - so let me know if you can help. Magenta can be found on the Blues Clues page of this blog and soon on fandom in stitches. Thanks to Celine for testing my pattern for me.